Stress can grind us all down slowly and one of the easiest ways to have it affect you more is not getting a good night’s sleep. Sometimes even the best mattress on the market can use a little extra cushion, and that’s when you look to a quality mattress topper. These simple add-ons can help you weather many storms at work—be it a promotion with new responsibilities, a relocation, or maybe even a separation. After reading some popular mattress reviews one could believe that there’s no need for a mattress topper in the modern world. Modern mattress brands offer streamlined memory foam products meant to contour to every curve (or clump) of our bodies—why would we need more comfort? Maybe you’re just having an off day, maybe you just need a change, or maybe you’ve just had an epiphany that you’re no longer a belly sleeper—there’s a million reasons for a mattress topper. To get a better idea of some of the best matters toppers out there, consider what Prevention has to say. Before you buy, there are a few things you’ll want to consider. First, how much do you weigh? If you’re on on the heavier side, you’ll need a thicker, denser topper. Also, how will the topper fit under your sheets? You may need to invest in a new sheet set if the topper adds heft to your surface. And finally, do you tend to get hot at night? If so, choose a topper made from natural fibers or cooling memory foam; you may heat up sleeping on standard memory foam. There are thousands of mattress toppers on the market, and choosing the right one for you could prove overwhelming. So we sorted through all the options and determined the best mattress toppers across seven categories. 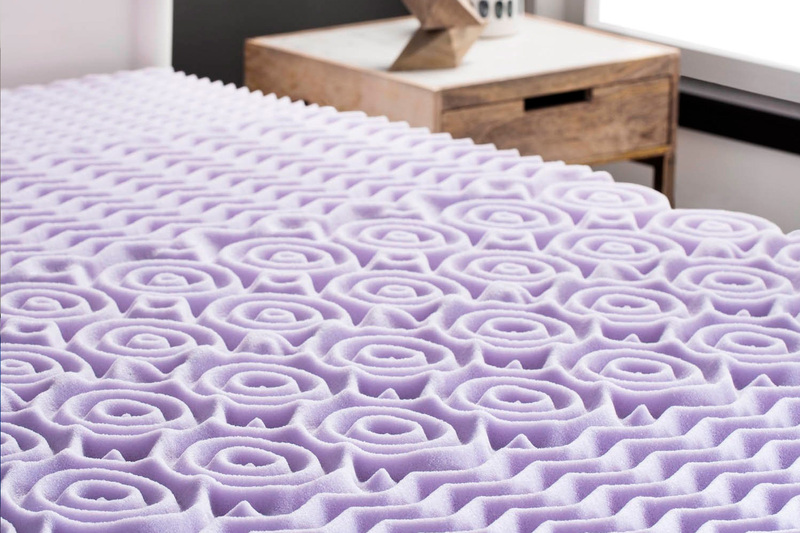 We also took price into account—our picks range from $36 for a simple foam topper that provides a slim layer of padding, up to $192 for a 4-inch dual-layer topper that combines gel memory foam and fluffy fiber fill. With 2 inches of memory foam, and a polymer design that can dissipate “heat three times faster than conventional memory foam,” the Red Nomad mattress topper has developed a cult following on Amazon. Count us in, too. With 2 inches of fluffy fiber filling, and another 2 inches of cooling gel memory foam, this mattress topper has earned a 4.4-star rating from nearly 1,800 happy Amazon customers. Lucid’s 2-inch memory foam mattress topper is separated into five “zones,” each of which is designed to relieve pressure on the head, shoulders, hips, knees, or ankles. Bonus: It’s also infused with a lavender scent to help lull you to sleep.